There is no doubt that capturing images with both feet firmly planted to the ground is a rather useful technique. It allows for stability and that results in stunning photography. However, remember how mom always told you to reach for the stars? Well we are not quite aiming that high, but we sure are taking it up a notch. 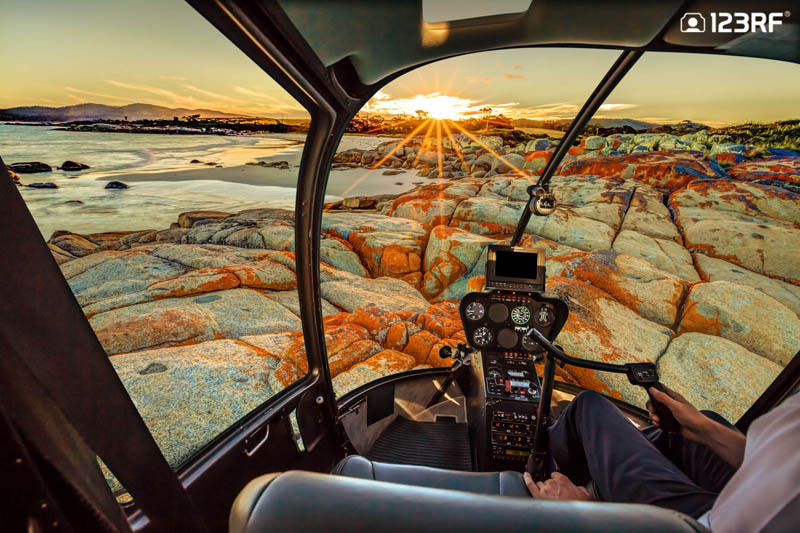 So for those of you with an appetite for the high life, check out this guide on 10 places to fly a helicopter for stunning aerial photography. Over the last few years, this bay has undergone a massive transformation. What was once a quiet waterway is now home to the pinnacle of luxury travel in Southeast Asia. The area is adorned with international restaurants and high end malls, both which promises to burn holes in your wallet. But the crown jewel of the bay is none other than the swanky Marina Bay Sands Resort. 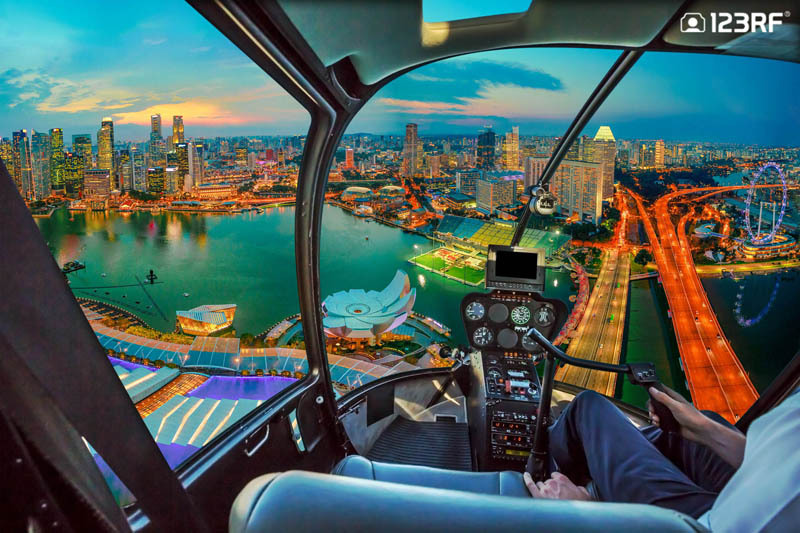 Coupled with the winding street track of the Formula One Championship, this location offers aerial photographers to capture the air of prestige surrounding Southeast Asia smallest, yet most flamboyant country. 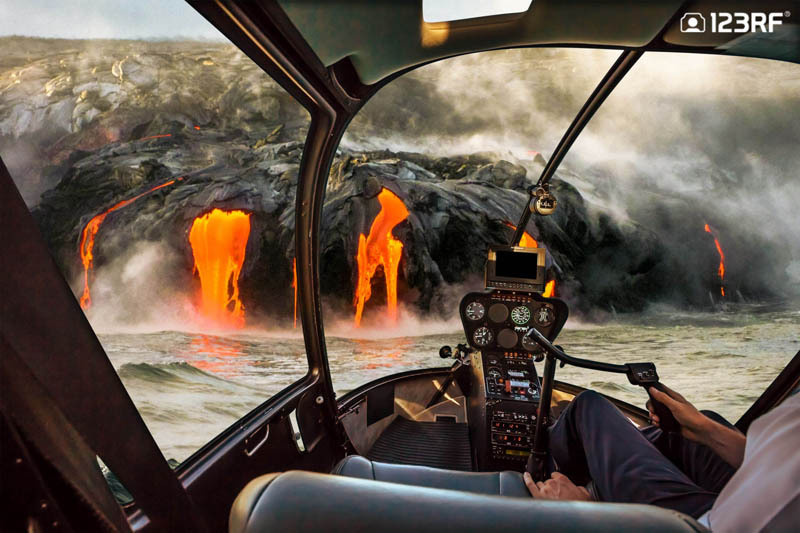 Located on the southern shore of Hawaii, this is the most active of volcanoes on the island. Kilauea has been erupting since 1983, and in recent times, has caused massive property damage. The continuous eruption, which includes ash being blasted 30000 feet into the air, has seen this section of the Hawaii Volcanoes National Park closed off. A trip to Kilauea offers photographers a rare opportunity to witness the raw power of mother nature in full effect, while capturing breathtaking aerial photography. In addition to being one of Japan’s largest metropolitan areas, Osaka is an economic powerhouse in the Kansai region. The city is divided into several sections. Nakanoshima is the cultural and administrative center of Osaka. Next, Umeda, Shinsaibashi and Namba are the places for shopping and nightlife. On the other hand, Tennoji is home to historic temples. 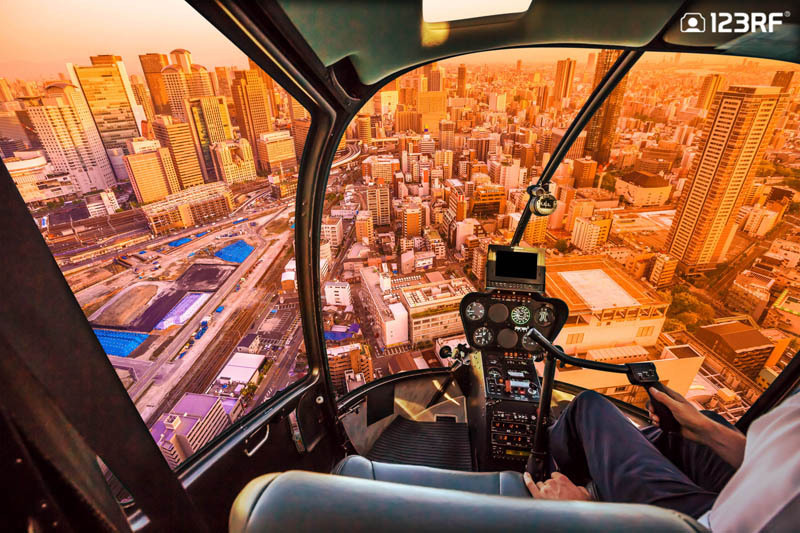 For a city that is incredibly diverse, aerial photography is arguably the best bet to capture Osaka as a single beautiful city. Also known as Mount Sinai, it is believed this is where Moses received the Ten Commandments. The Mountain also homes the Saint Catherine’s Monastery, at the gorge of its foot. The monastery is one of the oldest Christian monasteries in the world. Therefore, it is unsurprising to see this institution accommodating some of the most coveted pieces of manuscript in human history. So grab your lenses and hop on your ride, the chance to take one of the most iconic aerial photography should not be missed. The area is famed for its picture perfect white beaches, spectacular stone cliffs and rich marine life. The abundance of scuba diving locations only serves as a testament to this. Once you have taken a dip, swing by a local bar and down a couple of tequila shots. The next day, rise up only to do it all again, because it is that addictive. 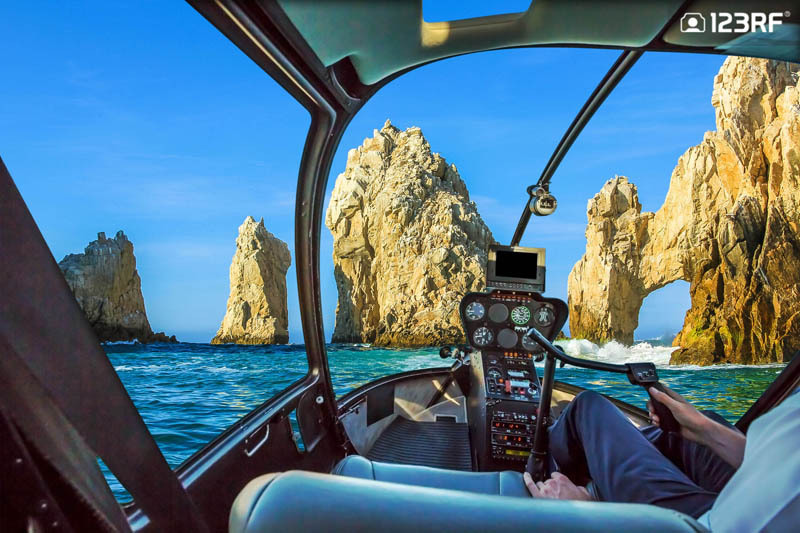 Cabo San Lucas is simply irresistible. 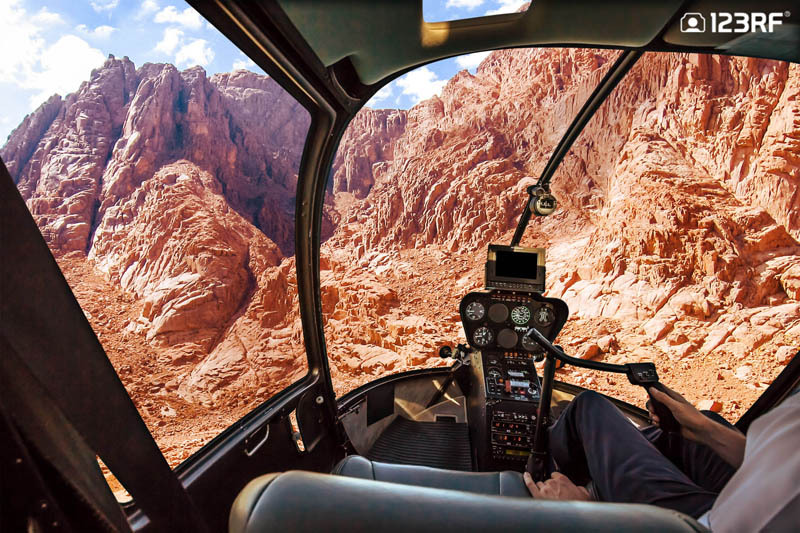 For a location as breathtaking as this, aerial photography is the go – to choice to capture the beautiful landscapes. Sossusvlei is situated in the largest conservation area in Africa, the Namib-Naukluft National Park. Surrounded by mammoth red dunes which reach up to 400 meters, this area is a great destination all year round. Deadvlei is the most popular clay plan in Sossusvlei’s one of a kind salt pan. 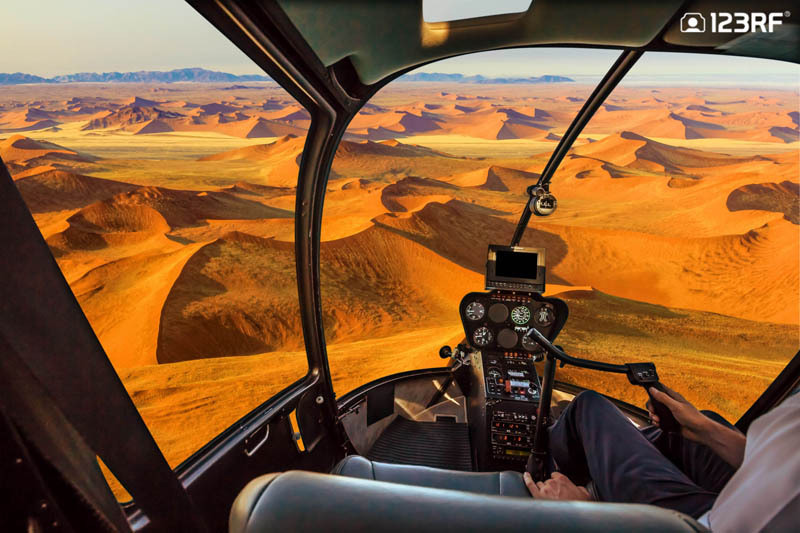 The bizarre yet beautiful landscape makes you feel as if you are setting foot in Mars, making is a must for aerial photography aficionados. Therefore, it is no surprise that this region is one of Namibia’s most popular travel destinations. This long stretch of powder white sands and crystal clear waters is one of Tasmania’s many picturesque locations. However, to referring to the Bay of Fires as a single beach is a mistake, as this destination is home to a series of charming beaches with lagoons and rocky landscapes. Additionally, the unique orange hue granite rocks along the bay forms a striking sight that is begging to be photographed. This spectacular natural wonder is one of the most accessible glaciers in the United States. This 27 mile long ice river along the Glenn Highway consists of streams of flowing ice which leads to the Matanuska River. 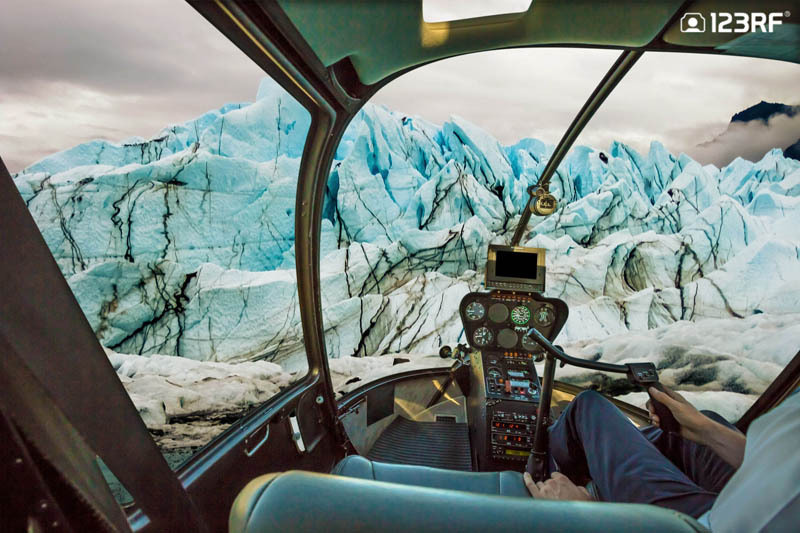 The park enables visitors to get up close to the glacier via a self guided tour. If you are looking to break a sweat, opt for the hike or the river rafting activities. Nestled beneath Table Mountain National Park, Constantia is the oldest wine-making region in the southern hemisphere. 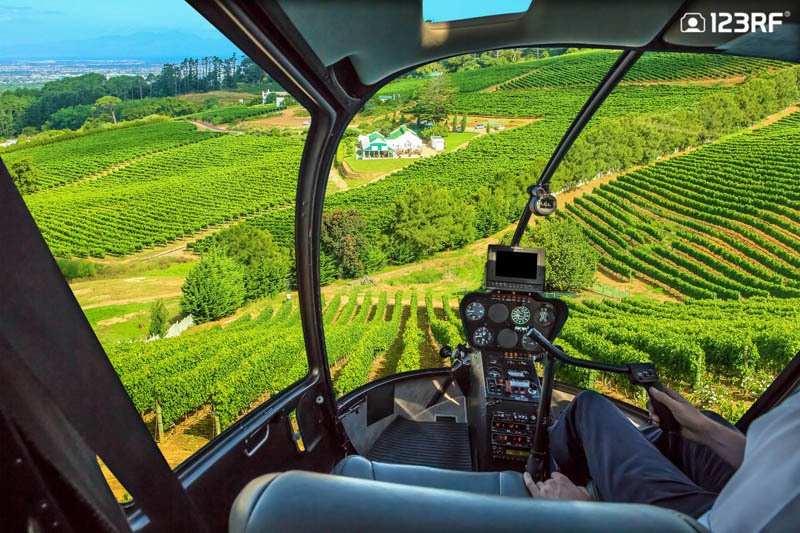 Brimming with heritage and landscapes of unparalleled beauty, this wine region is the perfect place to base yourself when visiting Cape Town. The valley offers a treat for every visitor with award-winning wine estates and restaurants. Furthermore, to fully immerse yourself into the natural beauty, head out for a picnic or horse riding. Above all, be sure to indulge in some of the finest wines your taste buds has ever experienced. 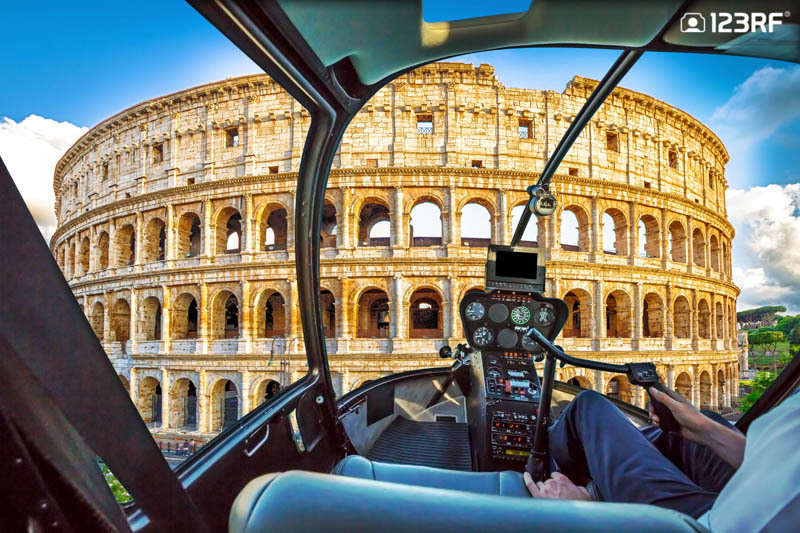 This massive stone amphitheater was once Rome’s most historic landmark. in A.D. 70-72, Emperor Vespasian of the Flavian dynasty gifted to Romans their prized possession. Next, in A.D. 80, Vespasian’s son Titus, opened the Colosseum with 100 days of games. This included barbaric gladiatorial combats and wild animal fights which quickly became the favorite source of entertainment in Rome. However, this magnificent arena then fell into neglect and almost two-thirds of the building has been destroyed over time. Despite that, this brilliant work of art remains a testament to the powers of the once mighty Roman empire. If you are looking for more travel ideas, check out our Anthony Bourdain approved top 10 cities to visit. Alternatively, if you are seeking photography inspiration, read up on our feature on Andrejs Pidjass and his retro themed images. Finally, if you are in search of a one stop design solution to all your creative needs, check out our #designyourstory campaign on instagram! All images via bennymarty on 123RF.